Goodbye Love month, itt’s time to get Lucky! 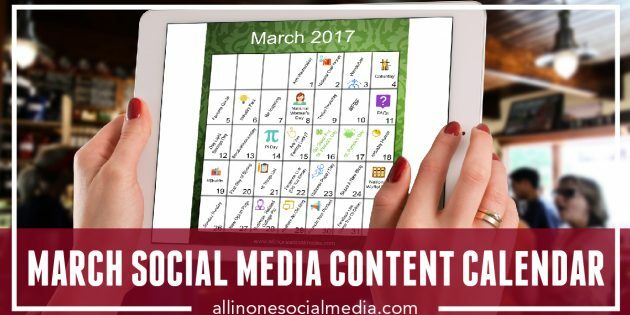 We are in like a lion this month ready to help you get your social media life in order for March with this content idea calendar. This month’s calendar is filled with great ideas like Wanderlust on March 3rd and Are You Feeling Lucky? 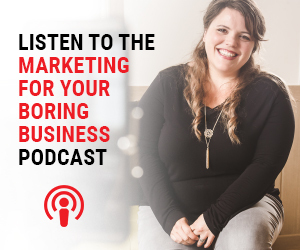 on March 15th. 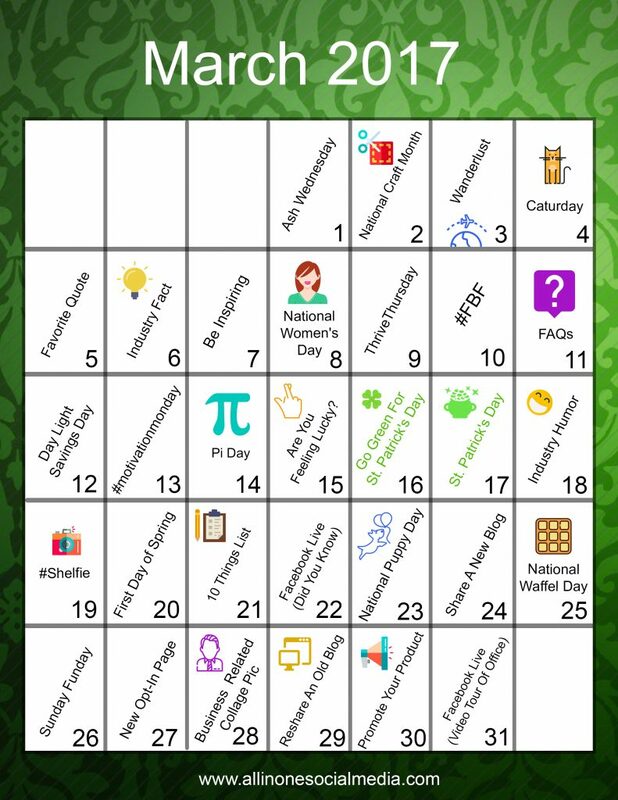 There are also some fun holidays to get some clever engagement like National Waffle Day on March 25th and Pi Day on March 14th. 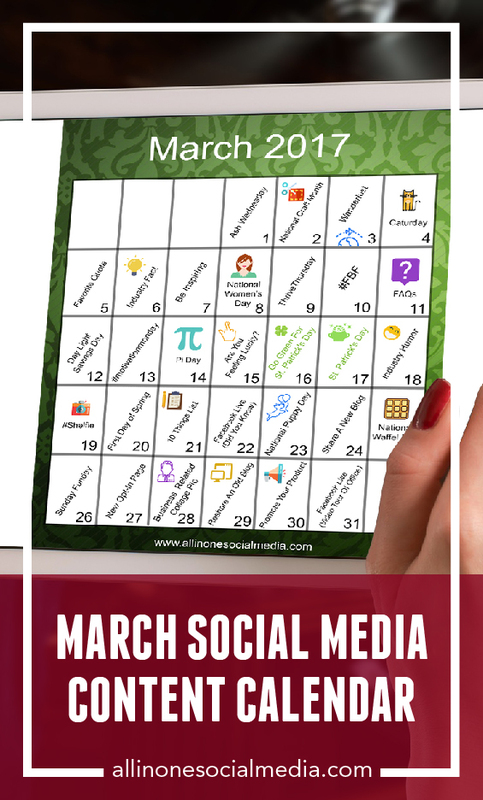 And hey, if you are ever just stumped on what to post even with this super fun calendar, download these FREE 19 Graphics so you always have something to post.